A performance like this comes along only once in a life time – the pairing of two multiple Grammy award winning groups whose distinct American roots music has thrilled and fascinated audiences around the globe! Two dynamic performances fronted by two legendary artists – who have also been friends for nearly 30 years! 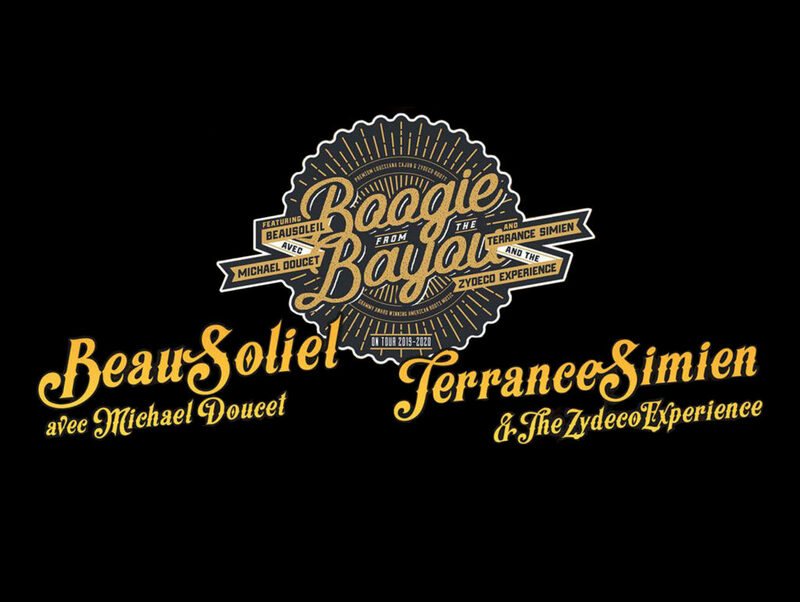 Their respect and admiration for one another is palpable in their poignant onstage collaboration curated especially for the Boogie From The Bayou tour. Similarly, for over 35 years, with astonishing vocals and charismatic performances, Terrance Simien and the Zydeco Experience band have taken their music to places few have – to Europe with Fats Domino and Sarah Vaughn or crisscrossing the U.S. with Los Lobos and Dave Matthews Band. Their sound is one of the most diverse in roots music today. Join us for a memorable evening of outstanding performances and music from the Louisiana bayou delivered right to your venue! We also invite you to explore a pre performance Q&A, residency outreach activities and even culinary demonstrations. These gifted artists are really great men and they have a lot to share. Boogie From The Bayou promises to be an engaging and immersive Cajun and zydeco experience that will leave a lasting impression on your audience. Laissez les bons temps router!